Craftsman style emerged from the arts and crafts movement celebrating the individual worker, craftsmanship and designs that complimented natural materials. Clean lines are striking and glass playfully invites light into the home adding a finishing touch with character, charm and distinction. Expanded door series offerings, reflecting the ultimate in both selection and finishes – Steel Mark® and Belmont®. Panels are distinctive with a variety of styles to choose from. Dentil shelves are available; designed specifically to complement each door series. 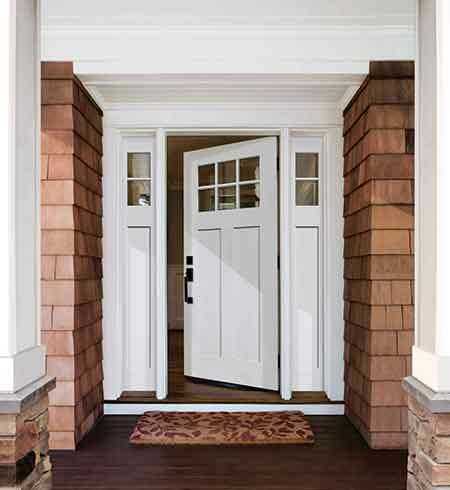 Extensive choice of glass design; enhancing the Craftsman and Mission charm.